Working in the design industry, you are inevitably to do some prototypes, of course, that is also inseparable from a variety of tools. A handy tool makes a handy man. Good prototype software can greatly improve your efficiency, but each tool has its own advantages and disadvantages. 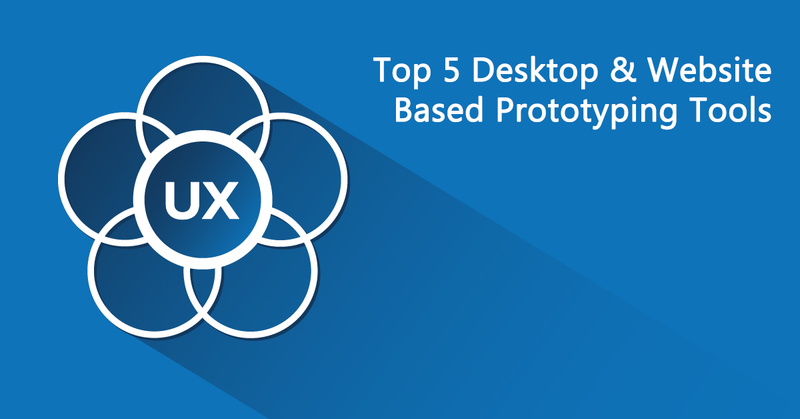 There is a list of prototyping tools/apps based on browser, PC, and mobile devices. In order to better help you make the right judgments, and less detours, today I will introduce the product features of some commonly used prototyping tools. 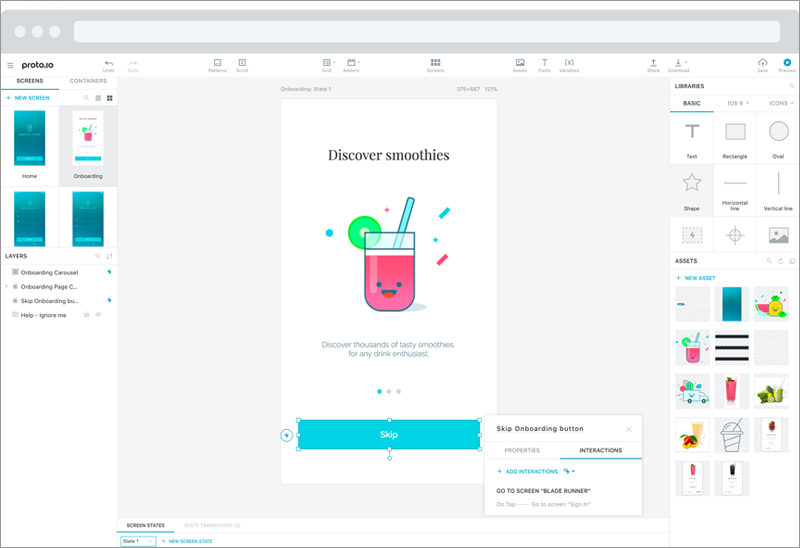 Despite the variety of prototyping tools whose functionality and usability are constantly developing in recent years, but Axure is still the ace among these prototyping tools. It’s a very good prototyping design software on Windows, also the first choice for predesign work. 1. 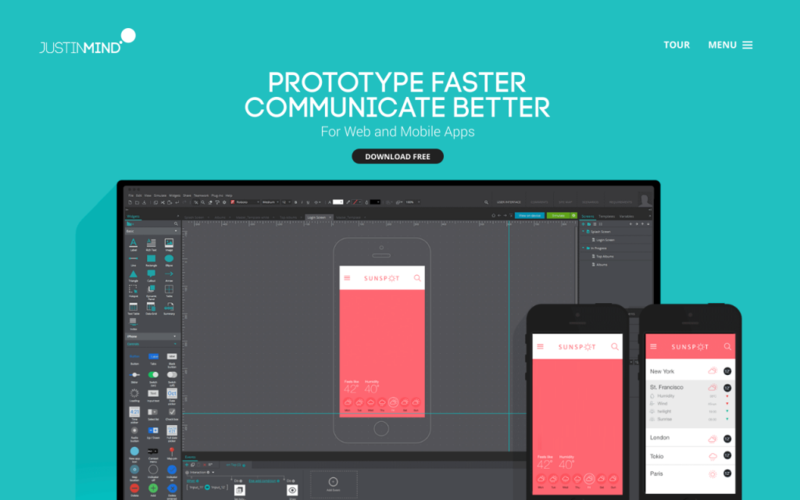 Renowned prototyping tool with large user population. 2. Rich video tutorials with multi-language. 3. Built-in widgets and a huge library of third-party widgets. 4. Good for making interactive prototype with complex interaction. 5. Professional training and support documentation. Open the uploaded project from PC through Axshare. 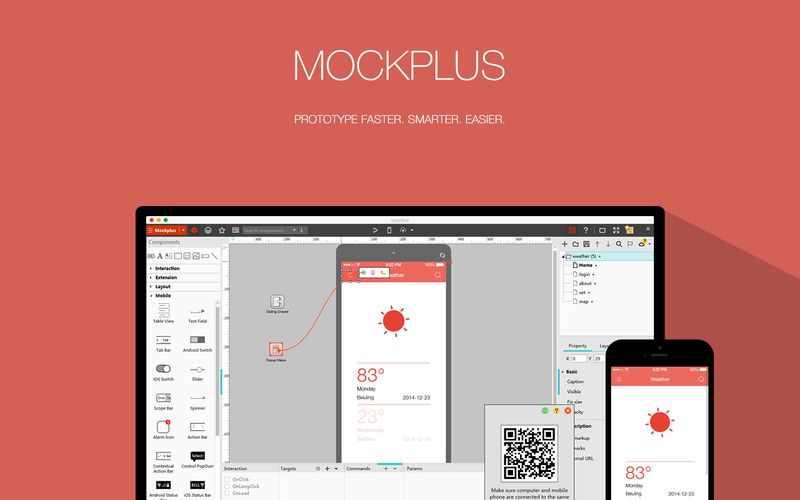 As an emerging rapid prototyping tool, Mockplus provides a large number of components and icons, and it’s user-friendly design helps users starting design quickly. The interaction design in Mockplus is fully visualized, that's WYSIWYG. It allows your to add page link and interaction for components with simple drag-and-drop. Simple, convenient visualization operation greatly simplifies the interaction design, also improving the work efficiency. 1. Low learning curve, easy to learn for a first-time user. 2. Easy-to-use drag and drop, prototyping is fast. 3. A huge standard library of components (200) and vector icons (26,00). 4. Interaction design is visualized, adding interactivity to individual elements with simple drag and drop. 5. Comprehensive ways to preview and share your project: export to HTML, export to demo package, export to images, export project tree, publish to cloud and scan QR code. JustinMind is mainly focusing on high-fidelity prototyping. Compared with other interactive prototyping tools, Justinmind is more suitable for mobile device (iOS & Android) prototypes. If you want to create a complex high-fidelity prototype, you can try it. 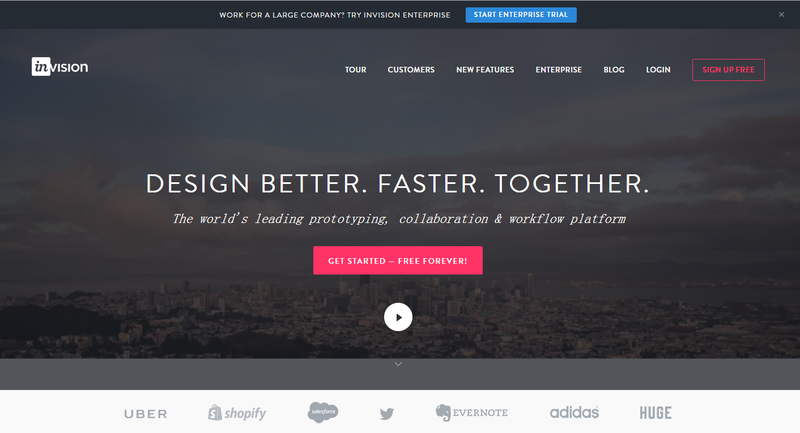 InVision is a web-based interactive prototyping tool. It can easily achieve a very good collaboration between team members, gather feedback to help designers quickly design product models, manage design teams, and online collaboration assistance. The static pages, mobile app wireframe can be quickly turn into clickable, interactive prototypes. 2. Quick and intuitive to add screens and create hotspots. 3. Support for gestures and transitions. 4. Sharing and commenting system are good for collecting feedback. Proto.io is a very powerful web app with a lot of features. However, it needs to set by dragging and dropping of each step, click the button, and adjust the value in the options. Sometimes it’s a bit difficult to find some of the settings you need. 1. A huge standard library of components. 2. Support for adding interactivity to individual elements. 3. Support for importing designs from Dropbox. 4. Support for Sketch and Photoshop plugins.